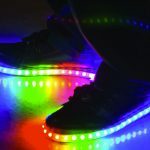 Walking Led » 10 accessoires LED obligatoires pour enflammer le dance floor ! 10 accessoires LED obligatoires pour enflammer le dance floor ! Halloween is every day in the EDM world, where tech toys and costumes aren’t just for kids. Grown-ups love gadgets and dressing up too, making this scene the perfect playground for young adults. Technology has advanced both music and fashion, and EDM has created an entire subculture that embraces both. The rave lifestyle is an opportunity to forget about what’s considered normal and accept your individuality. There’s an hobby for everyone in this group. You can be a spectator of performers who dance in LED sneakers and put on gloving shows. If you like to trade items, you’ll love the growing trend of collecting pins. 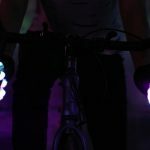 Voici sans plus attendre les 10 accessoires LED avec lesquels vous enflammerez les pistes de dance ! Part art form but also part sport. Why can’t we get enough of the entrancing act of gloving? Because it combines technology with hip hop dance moves and the flow arts to give both performers and viewers a feeling of total exhilaration. Gloving isn’t easy. It’s a hobby that requires you to master intricate finger and hand movements with musicality. But it’s fun to learn. After some practice, you’ll be able to slide into your LED gloves and freestyle a rewarding one-on-one performance. Just double check before you take a pair along to a concert. You want to make sure they’re allowed in the venue first. Express your personal style and take visual effects to a phenomenal level with light diffraction shades. Kaleidoscope glasses are a fun addition to any fan’s collection of EDM products. 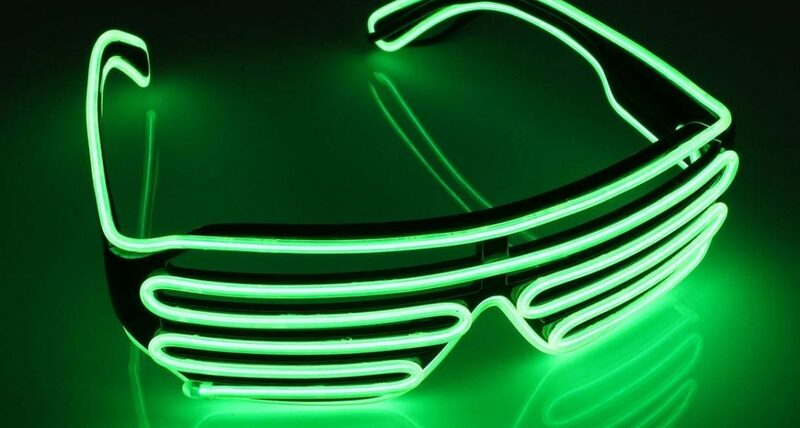 They make a standout fashion statement and will heighten the experience of light shows you witness at an EDM festival. Those gloving shows you can’t wait for? They’re even more intense in a pair of these glasses. You can try wearing diffraction glasses outside of a music festival too. Kids and adults can wear them year-round to enhance firework shows, holiday lights, or 3D movies. Are you a wolf, coyote, fox or bear? Tell the crowd who your spirit animal is. Take a step into any EDM festival and you’ll immediately spot tons of adult sporting furry animal hats – also known as SpiritHoods. The hoods are a unique trend that both males and females love to wear at shows. They help out the wildlife too, with 10% of every sale proceeds going to help endangered animals. The middle of summer can make wearing a fur hood seem uncomfortable, but many ravers sling them around their shoulders during the daytime until it cools down at night. You’ll be thankful for your SpiritHood during the fall festivals. Masks have the power to enable you with confidence. You can be whomever you want to be with the anonymity of hiding your identity with a mask. Famous producers like Mike Candys and DJs from Mars are known for their masked personas in performances. We’re still recovering from being pranked by Marshmello and Tiesto at EDC Las Vegas 2016…will we ever find out who Marshmello really is? Maybe not, but it’s fun to guess. For EDM fans attending outdoor shows, light up masks are practical too. They’re perfect for shielding your face from dust at a music festival and LED lights allow you to channel your inner sci-fi geek. It’s not just the ladies who get to wear loud and fun clothing in the EDM scene. Guys, get ready to bring on your fashion game with vibrant all over printed hoodies. The brighter the print, the better. Galaxy space prints have been the biggest trend recently, but everything from scenes in nature to animal and patriotic prints goes. Why are festival fashion trends so out there? Simply because they reflect that electronic dance music is a way to escape from reality. Raves and festivals have always been about having the chance to realize this, even if it’s only for a day or short weekend. Poi is the original performance art. Spinning poi originated thousands of years ago from the Māori people in New Zealand. Modern poi is also one of the first flow arts (along with glowsticking). If you’re a fan of watching house music live, you’ve probably witnessed performers spinning the glowing weighted balls attached to a string. We love poi because anyone can use it, whether they’re skilled or more of a beginner. Today’s LED poi balls are safe to use because they’re made of plastic and are fairly soft. If you mess up right away, you’re probably not going to break them. anxious to try them out. If you’re a performance artist who’d rather move with your entire body sometimes instead of just your hands, the space sabers were created for you. Everyone in your group of onlookers will be in awe of the latest flow innovation. Even if you don’t turn into the next space saber flow expert, we bet these light up sabers are still fun to play with. We won’t judge you for wanting to relive your favorite battle. Be prepared to get a lot of attention when you’re wearing your Hoverkicks. People will stop you to ask where your light up shoes came from, especially when you’re in the newest groundbreaking styles like the Apollo. Our latest sneaker design comes equipped with the Total Remote Control. Stay tuned for our release of the Spectrum app. Our LED sneakers continue to advance with fresh technology. You’ll be able to control your shoes via your mobile phone device – including the ability to sync up your light show to your personal music collection. Snapbacks are suited for music festivals and everyday wear. The streetwear-influenced hats protect your head from the sun, but they’re also comfortable and on trend. Because everything related to EDM is bolder, you’ll find hats with light effects, all over print, or your favorite festival’s logo. Or if you’d rather customize your hat for an original design, you can always go the DIY route. Decorate it yourself with patches or pins that reflect your own creativity and interests. Adding patches to your hat is easier than you might think. Don’t worry, minimal sewing is required if you have fabric glue. Lequel de ces éléments est sur votre wish liste ? We’re anticipating these items for the top trending products this year. Which item are you coveting? Between the release of the new mobile app that’s linked to your sneakers and the latest flow equipment like space sabers, we’re dying to know where EDM trends go next. It’s guaranteed to be colorful. Bâtons lumineux LED : essentiel pour faire la teuf’ !